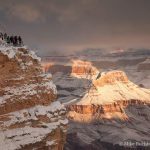 From awe to anxiety, Grand Canyon evokes many emotions in the nearly five million visitors that amble up to the rim each year. With Valentine’s Day just around the corner, perhaps it’s a good time to give love it’s due. The canyon has long been a destination for amorous couples; whether popping the question, exchanging vows, or enjoying a honeymoon after taking the plunge. 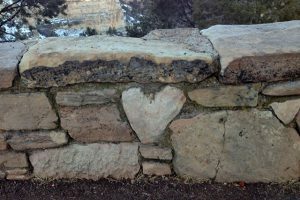 The other mystery is that of a heart-shaped stone that was placed in the retaining wall along the rim near the El Tovar Hotel. We know it was positioned by the rough and tumble work crew of the Civilian Conservation Corps in the early 1930s; but why? Perhaps it was an artistic flourish born from boredom, or maybe just the best fit for an odd-shaped cavity. 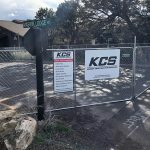 The more romantic among us can’t help but surmise that it’s proximity to the all-women’s dormitory played a key role. Perhaps there is a bow-wielding cherub somewhere that knows the real story?